I had a go in the Ford Freestyle petrol earlier this year in April before it went on sale. It impressed me with its ride and handling and the new 1.2 L 3 pot petrol motor. Despite the gradual shift in buyer preference towards petrol variants, when it comes to crossovers/SUVs, diesel power still holds relevance. 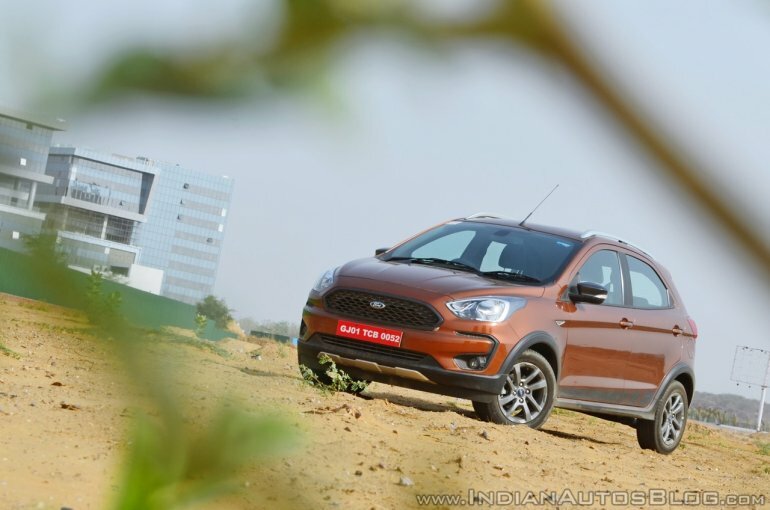 Ford has enlisted the services of the familiar 1.5 L TDCi unit that does duty on the Figo/Aspire/EcoSport. 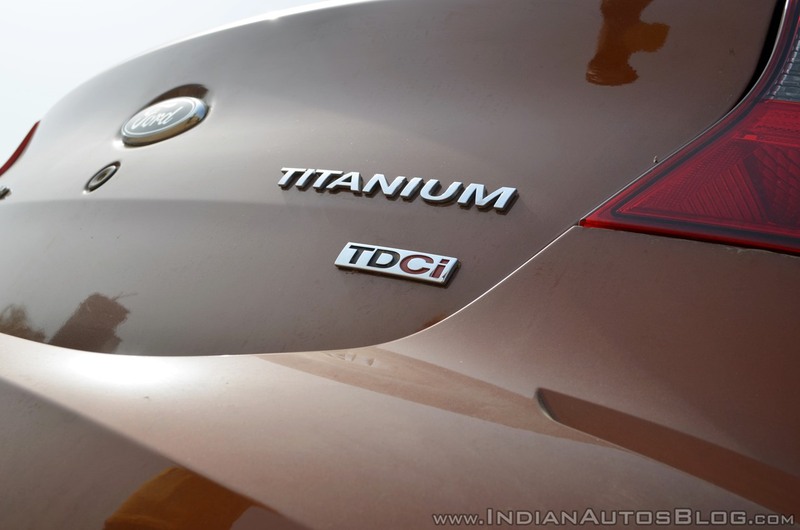 It is widely acknowledged to be one of the most excellent diesel units powering small cars in India. That coupled with the general fun to drive nature of the Freestyle sounds like a great recipe so, I decided to have a go in a Ford Freestyle 1.5 diesel to figure out if that is indeed the case. Predictably, there is no difference between the petrol and diesel variants regarding appearance. The only giveaway of the presence of an oil burner under the hood is the ‘TDCi’ badge on the bottom right corner of the boot lid. While the petrol Freestyle I drove was finished in White Gold, this one is a Canyon Red example. To recap, the exterior changes to the Figo brought in by the crossover treatment include a new mesh grille, body cladding on the front and rear bumpers and wheel arches, roof rails, faux silver finish skid plates, and 15-inch alloy wheels. The headlamp and tail lamp clusters get slight revisions as well. The increased height and broader track give the Freestyle more presence than the Figo. Again, as expected, there aren’t any real differences between the petrol and diesel variants on the inside either apart from the tachometer markings restricted to 6,000 rpm. The other minor variation is in the gear lever design. 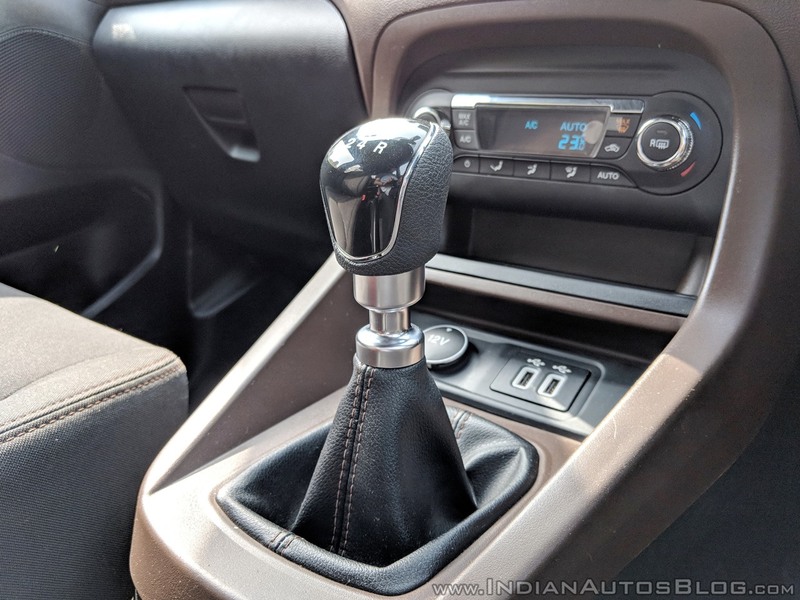 The 5-speed manual transmission of the diesel Freestyle gets a dogleg reverse gear, which warranted the inclusion of a pull-up mechanism to engage reverse. The dashboard gets a brown and black treatment. Notable features on offer include a 6.5-inch touchscreen for the SYNC3 infotainment system, automatic climate control, automatic headlamps, rain sensing wipers, electrically adjustable and electric folding ORVMs, a height adjustable driver’s seat and 6-airbags (dual front airbags are standard). The Ford Freestyle diesel draws power from the 1,498 cc 4-cylinder diesel engine from the Figo/Aspire/EcoSport. Max power and torque outputs are identical. It develops 100 PS at 3,750 rpm and 215 Nm at 1,750-3,000 rpm. 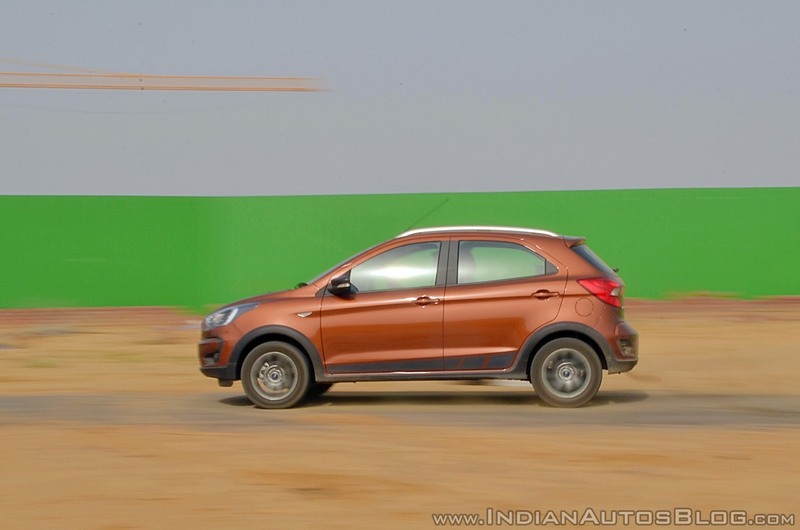 Claimed fuel efficiency, however, is slightly lower than the Figo’s figure of 25.83 km/l. The Ford Freestyle returns 24.4 km/l overall. Although real-world difference will not be very significant, I reckon. I say that because Ford engineers have worked towards reducing the gap between the claimed and actual fuel economy. 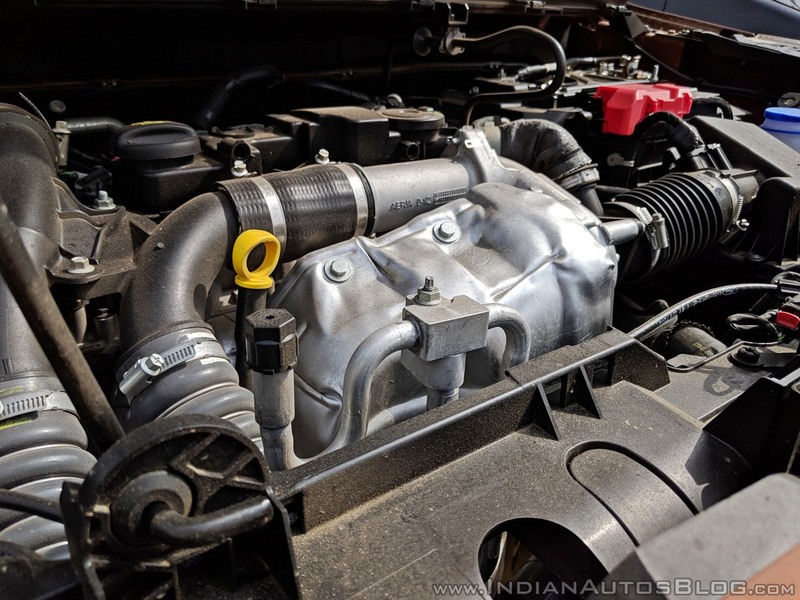 The 5-speed IB5 gearbox used here is new. I’ve always liked this particular motor from Ford and driving the Freestyle reminded me why. Once past the turbo lag, the full quota of 215 Nm of torque is available from 1,750 rpm. As expected, the Freestyle diesel is quicker than its petrol counterpart thanks to all that extra torque. Power delivery is fairly linear until about 4,000 rpm. Past that, progress is slower, and the engine gets rather vocal. As I mentioned in my review of the Freestyle petrol, the car impresses in the ride and handling department. Ford has managed to strike the kind of balance between comfort and sporty, which most manufacturers aim for but seldom achieve. I spent a bit more time with the diesel variant than I did with the petrol and which gave me a chance to judge the steering system better. Its fairly wheel weighted – light at low speeds and heavy enough as the needle climbs higher – but there were instances when it felt inconsistent. Although rare, there were occasions when I found it slightly challenging to judge the steering input while negotiating a curve. Overall, though, the Ford Freestyle is rather enjoyable to drive, something we’ve come to expect from the American car maker. 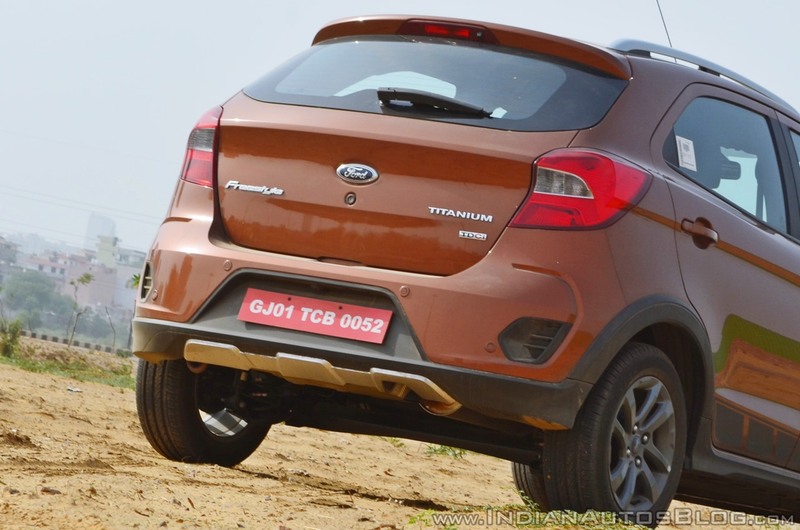 In the top-end Titanium+ spec our test car came in, the Ford Freestyle diesel is priced at INR 7.89 lakhs (ex-showroom Delhi). The range starts from INR 6.09 lakhs (ex-showroom Delhi) onward. It is currently the best option in the small crossover segment, no doubt. Compared to a similarly priced hatchback, the Freestyle offers increased ground clearance (190 mm) and likeable crossover looks. However, does it make sense to spend extra money on the diesel? The pricing of the diesel variant translates to a premium of INR 95,000 over the ex-showroom price of a same spec Freestyle petrol. It boils down to two things. First, your average monthly running. If it’s anywhere above 1,500 – 2,000 km, then spending extra is justified. Secondly, the weight you give to performance. For me, this will be the reason for choosing the Freestyle diesel variant. It’s much more fun thanks to all that extra torque. The Freestyle has a few flaws. The plastics could be better, and space inside is just about acceptable. Positives include a healthy list of features, impressive petrol and diesel engines, segment best ride and handling, and generous ground clearance. Ford has priced the Freestyle well, which makes it a very compelling alternative to a premium hatch.